Our bodies have become the site for a battle between corporations in tandem with governments for corporate and political power. With interrupt_7, we question why biotechnology is being seen as a solution to all of our ailments, both physical and emotional. It is possible that the cure is worse than the disease. 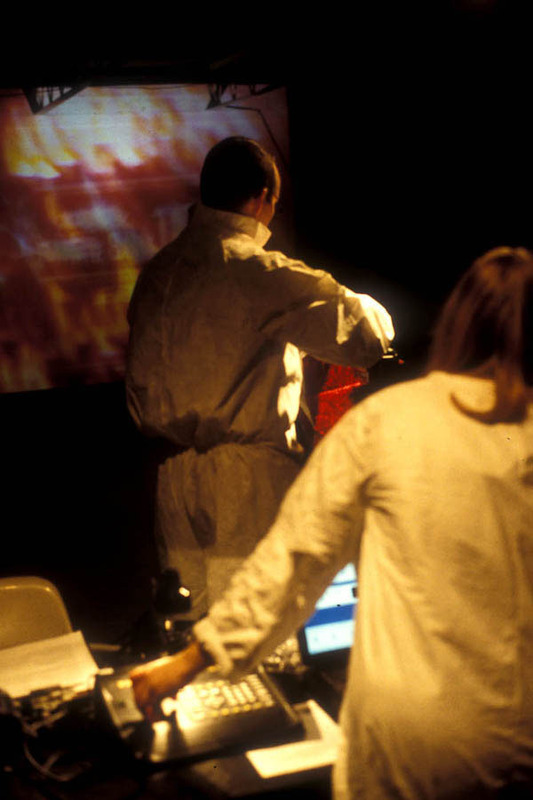 _badpacket_ is a performance art duo founded in May 2000 by Mike Steventon and Michelle Kasprzak. _badpacket_ uses performance as a vehicle for the exploration of contemporary issues relating to the interfacing of humans and technology. _badpacket_ combines the use of digital, analogue, and live elements, which allows us to plunder the immediacy of the internet, the fluidity of live video mixing, and the responsive interactivity of performance.